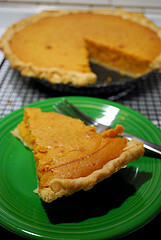 Sweet potatoes are low in sodium, and very low in saturated fat and cholesterol. It's also a good source of dietary fiber, vitamin B6 and potassium, and a very good source of vitamin A, Vitamin C and Manganese. One cup (approx. 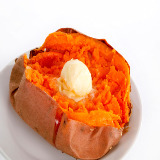 200 grams) of sweet potato provides 769% of the RDA of Vitamin A and 65% of the RDA for Vitamin C! All the above and delicious too! You can't beat it!